How is Early Stage Scoliosis Intervention Different from Traditional Scoliosis Treatment Options? 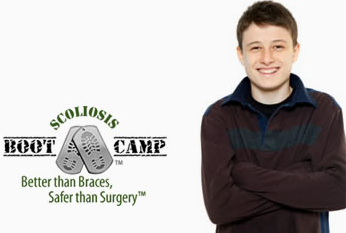 Our approach is the only program that is specifically targeted for treating scoliosis patients who have spinal curvatures less than 25 degrees often when first discovered. The current medical recommendation for curvatures less than 25 degrees is to do nothing typically for 6 months before another x-ray is taken to determine if it has gotten worse. 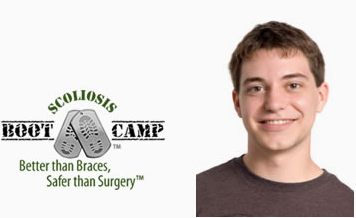 We designed this program specifically for parents who want a pro-active, non-invasive treatment option to actually do something positive rather than waiting anxiously for 6 months. 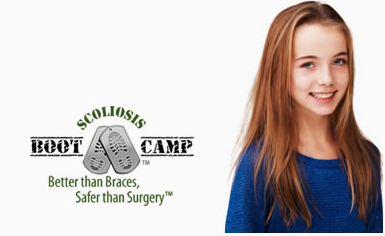 Unlike spinal brace treatment, the early stage scoliosis intervention program features ScoliSMART™ exercises which can achieve actual reduction and stabilization of the spinal curvature, while reducing the risk of future curve progression at the same time. This is primarily accomplished by utilizing advanced spine rehabilitation techniques that not only result in curve reduction but creates stabilization by actually re-training the patient’s spinal reflexes and postural control centers to learn how to hold the spine in a straighter position. This brain-spine training process can result in long-term treatment outcomes that spinal bracing doesn’t even attempt to offer. 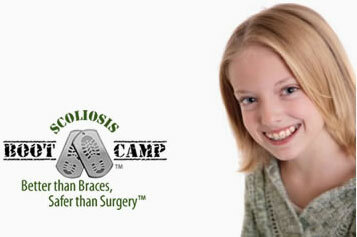 Early stage scoliosis intervention is a pro-active scoliosis treatment alternative to the “watch & wait” recommendation. Unlike forced correction using spinal braces, advanced our methods actually re-train the brain to hold the new “straighter” spinal position and allow for long-term stability. 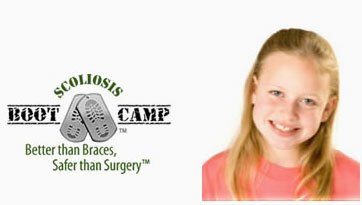 Early stage scoliosis is not the same as early on-set scoliosis. The term “early onset scoliosis” is primarily used to describe scoliosis that begins its onset in children under the age of 5 years old and would be considered infantile or juvenile scoliosis. Early stage scoliosis, often referred to as “mild” scoliosis, is considered to be the beginning stages of adolescent idiopathic (meaning unknown cause) scoliosis (AIS); which makes up over 80% of all cases of scoliosis. 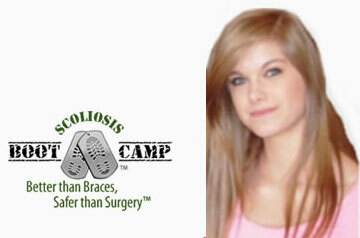 National Scoliosis Foundation Supports the Early Intervention of Scoliosis. 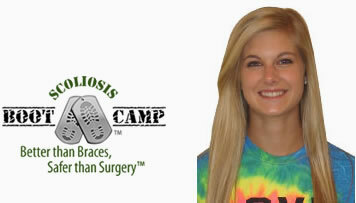 The early detection and treatment of scoliosis is essential to minimize the effects of this condition and provide patients with healthcare options that are less expensive, less August 10, 2010 painful and less invasive. Most scoliosis spine specialists agree that surgery should be a last resort and efforts should be taken to keep the curve from reaching 45 degrees. While even mild cases of early stage scoliosis (0-19 degrees) carry a significant risk of further curve progression (up to 22%) once the spinal curvature reach the 20 degree mark in patients with developing spines (skeletally immature) the risk more than triples to 68%. ScoliScore™ is a clinically validated, multi-gene test that provides a qualitative and quantitative assessment of the likelihood of spinal curve progression for patients who have been diagnosed with Adolescent Idiopathic Scoliosis (AIS). 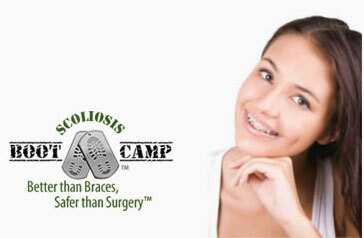 ScoliScore™ is available at our clinics. 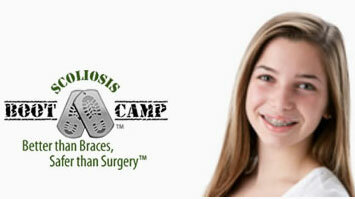 Learn more about this breakthrough technology. 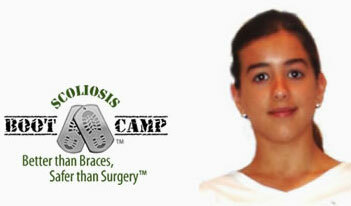 Aside from the more apparent affects scoliosis has on those who suffer from it there are many additional risks. Click here to learn more. 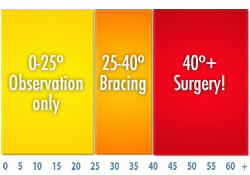 “The treatment goals for an early stage scoliosis intervention program should be to hold the curvature under 20 degrees during the growing years and have the curvature measure no more than 25 degrees by the time the patient reaches skeletal maturity” While there is still no cure for adolescent idiopathic (unknown cause) scoliosis, theories abstracted from current research suggests the natural course of the condition can be altered with an active rehabilitation program that targets the involuntary postural control centers in the patient’s brain. For many early stage scoliosis patients, treatment will be a necessary and ongoing process until they reach skeletal maturity (16-17 for females and 18-20 for males). And some patients will require ongoing treatment throughout life. However, the risk of progression significant curve progression in skeletally immature patients and skeletally mature patients can greatly reduced by developing a “20/25 vision” ongoing treatment plan during their “growing years” and before skeletal maturity. 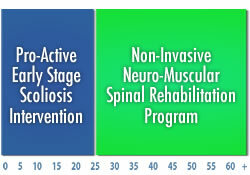 Learn more about the Early Stage Scoliosis Intervention treatment goals.